Thanks to A for theads up. A MAN ON A MISSION — After receiving new visions of the looming prophecy, Freya (Riley Voelkel) uncovers that her family is on a collision course with a dangerous new enemy. Meanwhile, with the help of Detective Kinney (guest star Jason Dohring), Vincent (Yusuf Gatewood) and Kol (guest star Nathaniel Buzolic) travel to the ancestral world to put a stop to the witches and take back their city once and for all. 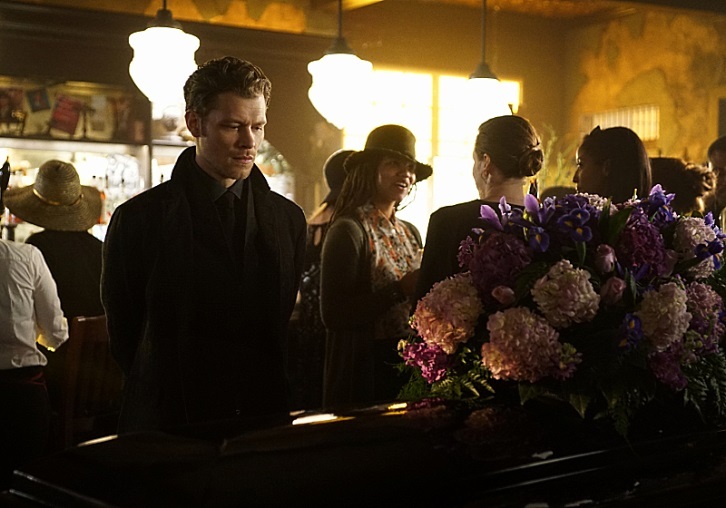 Elsewhere, Klaus (Joseph Morgan) and Elijah (Daniel Gillies) confront Marcel (Charles Michael Davis) after a heartbreaking plan gone wrong has sent him spiraling. Phoebe Tonkin and Danielle Campbell also star. Jeffrey Hunt directed the episode written by Ashley Lyle & Bart Nickerson (#321). Original airdate 5/13/2016.